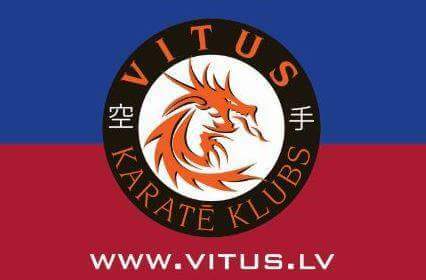 Jelgava's VITUS karate club was founded by Vitaly Mishin in 2012. The club is a member of the Latvian Federation of Karate, and the Latvian IJKA Karate Federation. From the very first competitions the club members have won medals in championships in Jelgava and in Latvia, and at Baltic and World Championships in different versions of karate in the kata [formal exercises] and kumite [sparring] categories. Club members also show excellent results in team competitions. Club athletes and the club coach regularly improve their skills at seminars under the leadership of the leading karate coaches and sports experts. to train and relax in sports camps in the summer. The club meets for training in the Jelgava sports hall (Matera iela 44a) and at Jelgava 2nd secondary school (Sarmas iela 2). Children who are 4-6 years old are engaged according to a "game program" which includes general exercises, elements from sports and correct breathing and general exercises of traditional karate. Children who are 7-9 years old study karate basics and etiquette, improve their coordination, flexibility and dexterity. They are prepared for participation in competitions. Children who are 10-14 years old improve their spirit, body and character by means of regular karate training and educational seminars with recognized masters of karate from Japan and Europe. They take an active part in Latvian, Baltic and World Championships. Children who are 15-year-olds and above can choose the traditional practice of karate or karate for self-defense and improvement of the physical form. Training is organized in different age groups under the leadership of certified trainers. The club also offers individual training sessions, and training for adults.